Ikigai (生き甲斐) is a Japanese concept that means “a reason for being.” It is similar to the French phrase Raison d’être. Everyone, according to Japanese culture, has an ikigai. Finding it requires a deep and often lengthy search of self. 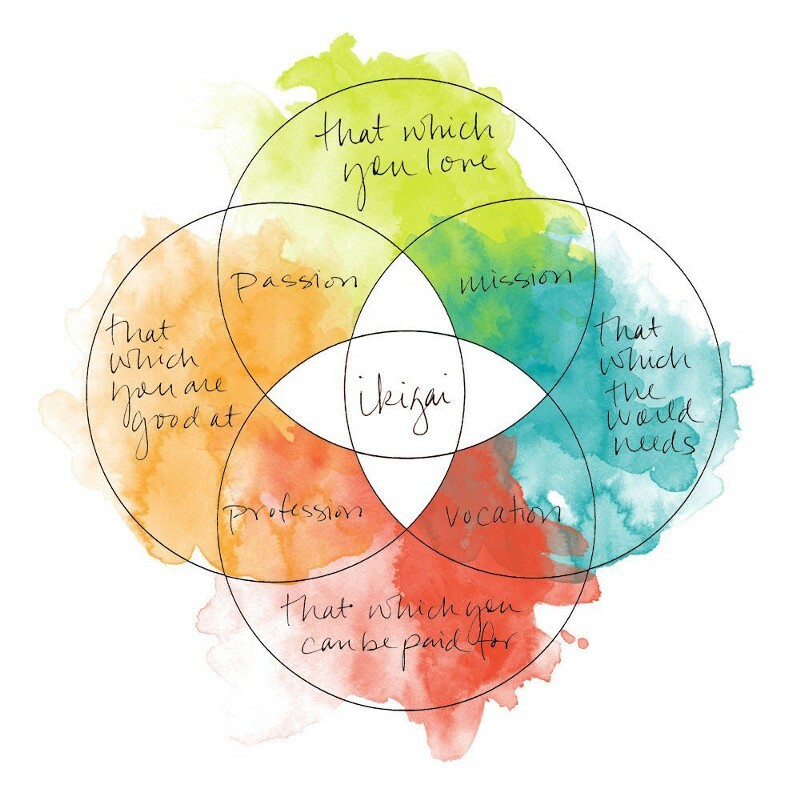 Such a search is important to the cultural belief that discovering one’s ikigai brings satisfaction and meaning to life. Examples include work, hobbies and raising children. Mathews, Gordon (1996). What Makes Life Worth Living? : How Japanese and Americans Make Sense of Their Worlds. University of California Press. Sone, Toshimasa; Nakaya, Naoki; Ohmori, Kaori; Shimazu, Taichi; Higashiguchi, Mizuka; Kakizaki, Masako; Kikuchi, Nobutaka; Kuriyama, Shinichi; Tsuji, Ichiro (2008). “Sense of Life Worth Living (Ikigai) and Mortality in Japan: Ohsaki Study” (PDF). Psychosomatic Medicine. 70 (6): 709–715. ISSN 0033-3174. doi:10.1097/PSY.0b013e31817e7e64. Retrieved 2016-03-12.